Conspiracy theories can usually be found in anti-Semitic environments. Labour leader Jeremy Corbyn is a terrorist sympathizer, supporter of Holocaust distorters, anti-Israel inciter, and part-time anti-Semite. He has also promoted conspiracy theories about Israel. Years ago, senior Labourites were heard to promote anti-Semitic conspiracy theories. Nowadays conspiracy theories targeting Jews, Israel, and others are being heard once again in Labour circles. 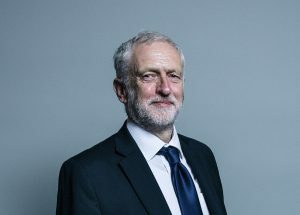 The intense public discussion on anti-Semitism in the UK Labour party has almost entirely overshadowed the problem of the huge risk a Corbyn-led government would represent to the Western world. Corbyn, a terrorist sympathizer, and various problematic associates of his would gain access to intelligence gathered by the British security services. How safe would it then be for other Western countries to continue to share high-level intelligence with their British colleagues? 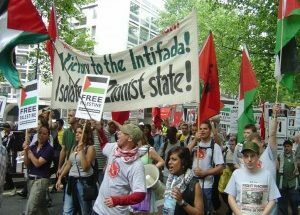 Over the past two and a half years a major debate has developed about anti-Semitism in the British Labour party. Jeremy Corbyn, the party leader, is a supporter of murderous and even genocidal terrorists and is a supporter of Holocaust deniers and distorters. He is furthermore an anti-Israel inciter and part-time anti-Semite. 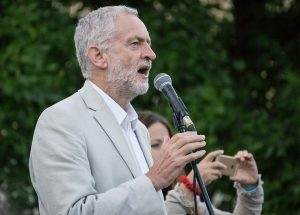 Many insights can be gleaned from the Labour anti-Semitism debate, and several are crucially important to the UK and the Western world at large. 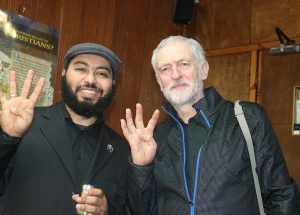 British Labour leader Jeremy Corbyn has defined himself as a “friend” and “brother” of genocidal terrorists, and he supports and mixes with Holocaust distorters. Corbyn is an extreme anti-Israel inciter and anti-Semite who has used Iranian media for that purpose.